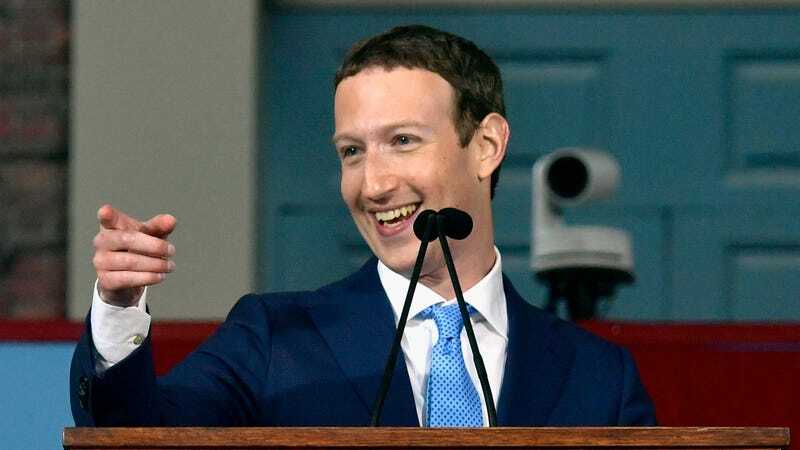 Facebook has spent the last year attempting to dig itself out of a pretty serious credibility hole, as various parties blamed it for influencing the 2016 election by algorithmically serving up content like “10 Facts You Didn’t Know About Barack Obama’s Birth Certificate”—not to mention literal foreign propaganda—to its billions of users. The company’s efforts to regain its reputation as a safe place for your friends to click “Wow” on a picture of your cat have taken it in a lot of different directions in the last year, including upcoming efforts to cut back on the amount of news and branded content people see on the service in general. Now, Mark Zuckerberg et al. are taking another stab at truth-ing up your feed, by asking the users themselves which kind of sources they trust. (Which should go great, given that those same masses were the ones passionately clicking “Share” on “Hillary’s E-Mails Are In Your Computer, Deleting Pictures Of Your Grandkids.”) As revealed in a new blog post today, the social network recently “surveyed a diverse and representative sample of people using Facebook across the US to gauge their familiarity with, and trust in, various different sources of news.” They’ll use that data to try to serve up news content that’s of a lower quantity, but a higher quality, the post says. Zuckerberg himself went into a little further detail in a separate essay, describing the ways the company is surveying its users to find news sources that are widely trusted, even by people who don’t necessarily agree with their political points of view. He also said, basically, that Facebook was sick of getting yelled at for having to make these calls about what the hell “fake news” even means any more, writing, “We could try to make that decision ourselves, but that’s not something we’re comfortable with,” instead punting it to you and everyone you know. The company said it’s also looking to increase viewership for local news stories, as opposed to aggregation from national outlets.